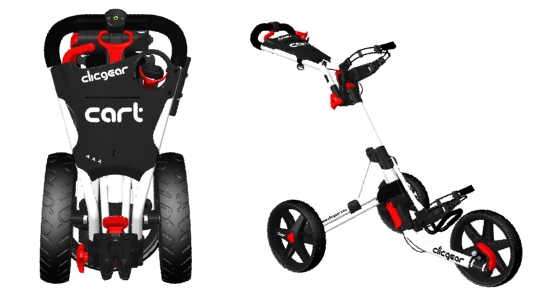 Golf push carts are some of the most versatile mobiles. The fact that it can be used both on and off the golf course affirms to this fact. Though meant for golf courses, a golf cart can be of great benefits to those who want to transport things within small distances where cars cannot easily access. On the golf course, buying your own unit will save you a lot of money in a season and ultimately in your entire golfing life. If you have been playing for years, and you still don’t have your own cart but has instead hiring carts or going on rides in the course, then a calculation of what you have been spending all this time can show you how much you could have saved. If you want to buy a golf push cart, there are questions that you just have to answer before making any step. Without such answers you may think that you are making a progress only to realize that you are instead retrogressing. Amongst the very primary questions is whether you are comfortable with the used carts or you just want a brand new one. Both have their own pros and limitations. The brand new carts are always accompanied by a factory warranty. This guarantees that you will either be refunded, though rare, or you will get a replacement for your cart in case it breaks down before the warranty expires. This is something that lacks in the used units. Warranties are never transferable to third parties and if a used golf cart breaks down, you will have a problem getting compensated even if the factory warranty has not expired. The only channel you can use is to go back to the person who sold it to you for them to follow up on the matter. In many cases, they are not as aggressive as they would have been when the cart was still in their possession. Brand new carts are obviously always quite too expensive compared to the used ones. At times, the cost of buying a used unit can be as low as less than half the price of a new unit. If you are therefore certain that the cart in question will not disappoint you and you happen to be on budget, then it is worth an investment to go for these second hand units. When you buy any equipment you need to know how to take care of it. How to use it and how to maintain it is never an option but mandatory. If you are not aware of how to maintain it as from the day you acquire it, you may end up being responsible for its breakdown. Unfortunately, warranties never cover negligence and breakdowns that are as a result of carelessness. This is a factor that must give you all the reason to go for the new brands from the factories. You will be guided on how to use your cart. You will get the guide book that accompanies most of the units that are being produces today. In addition, you will get detailed directions on where to get any additional information. The used carts should be bought y only those who are sure about what they are buying and they know how to use it. Newbie’s who are not yet well acquainted with the golf carts should follow the long procedure of researching and going for the new units from major stores rather than the used golf push carts. In a nutshell, you will be able to save a lot of money if you go for the second hand carts but if you can buy a new one, go for it.